I ran the New York City Marathon! This is my last marathon of the year (I’m pretty sure) and it was the BEST race ever – the perfect way to cap off an epic year of running! The day started off at 5:50am with Steve. He was my partner-in-crime for this journey and he’s back on my favorites list. 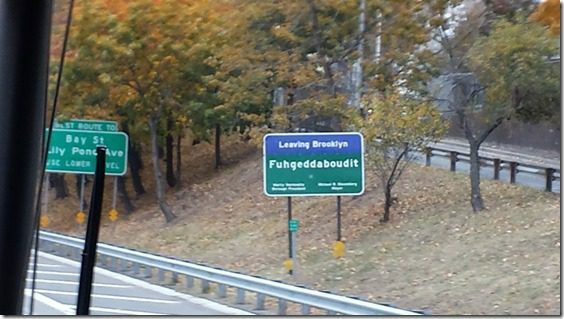 The production of getting to the start on Staten Island is part of the journey. We took a bus from the hotel and the excitement started to build! 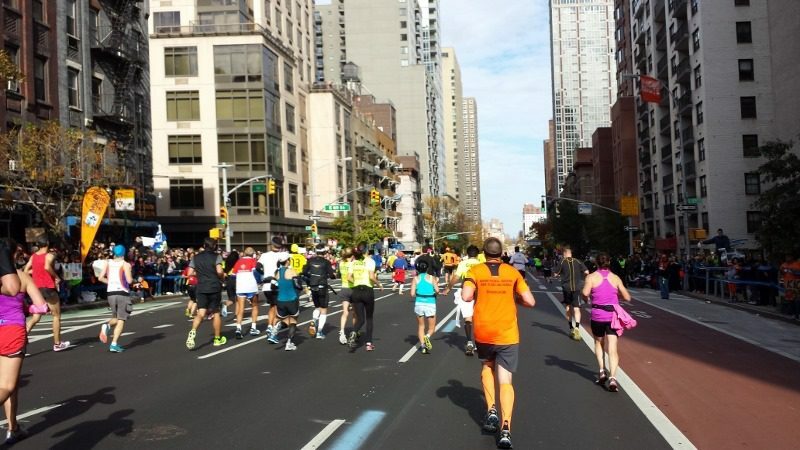 The New York City Marathon is the biggest marathon in the world with over 45,000 runners! I cannot even imagine all the logistics to make this day happen. 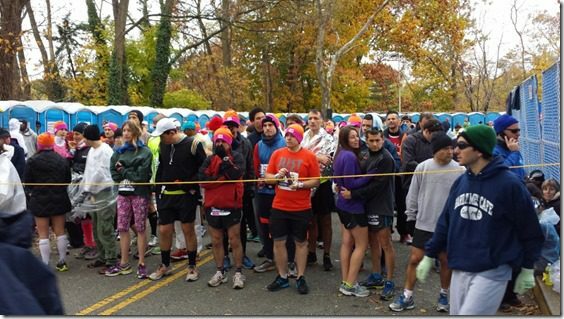 The starting village had thousands of people sitting, peeing, eating, drinking Dunkin Donuts! 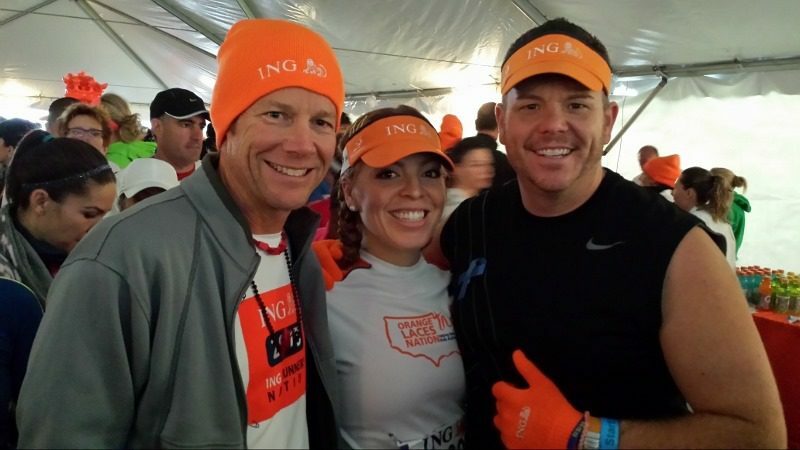 I kept warm in the tent with my ING Class of 2013 teammates Steve and Dave. 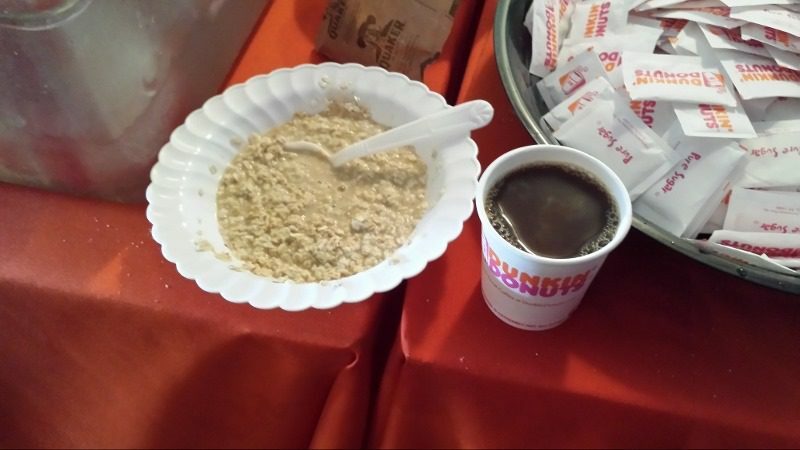 They had food but I brought oatmeal packets and used hot water to make it. 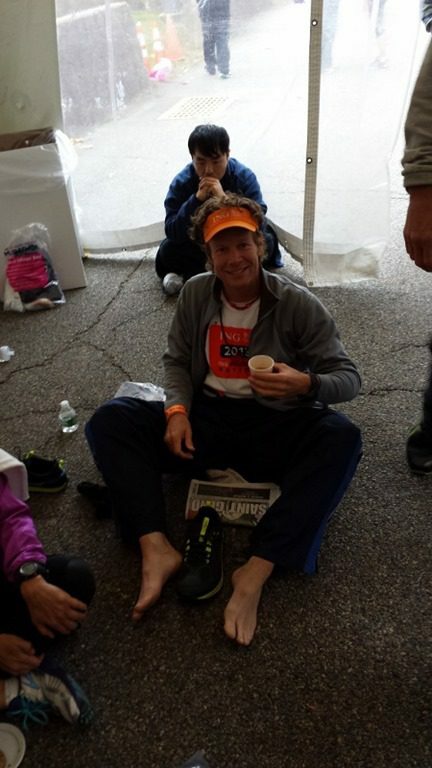 Steve offered me $3.00 and a granola bar to rub his feet, but I refused. Maybe if it was a donut I’d have taken the offer… hey, I can be bought. That or he was changing his socks, I forget. 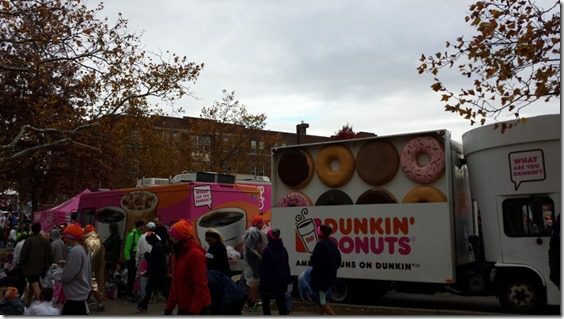 Dunkin Donuts provided coffee and beanies for runners. Monica America Runs on Dunkin. Before I knew it the announcer said it was time for my wave to line up! I headed over to my corral – they close 30 minutes before you start so you have to get there in time or you’ll have to go in a later corral. Soon it was time to line up to start!! The energy was so intense. 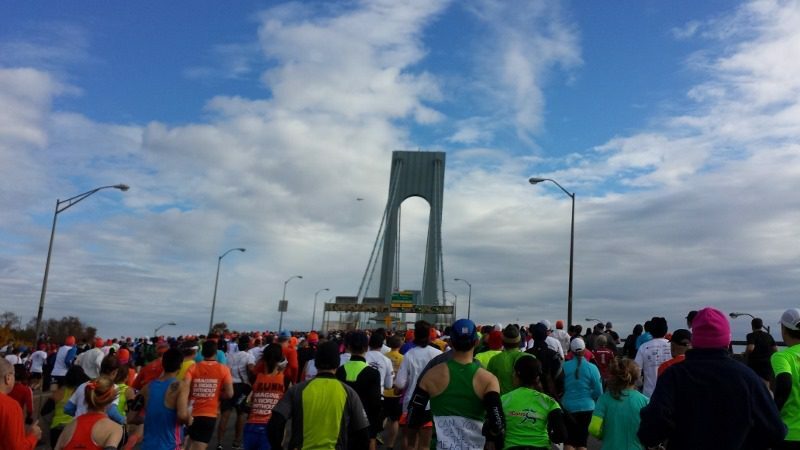 The New York Marathon starts on the Verrazano Bridge. I took some pictures during the race but really tried to enjoy every mile! The crowd support and energy is unlike any other race! 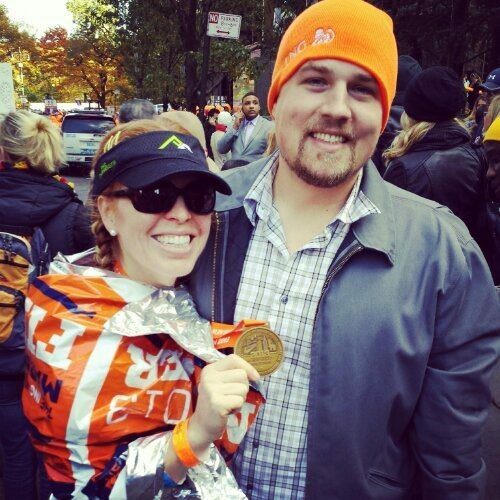 NYC Marathon finished in 3:41:23! 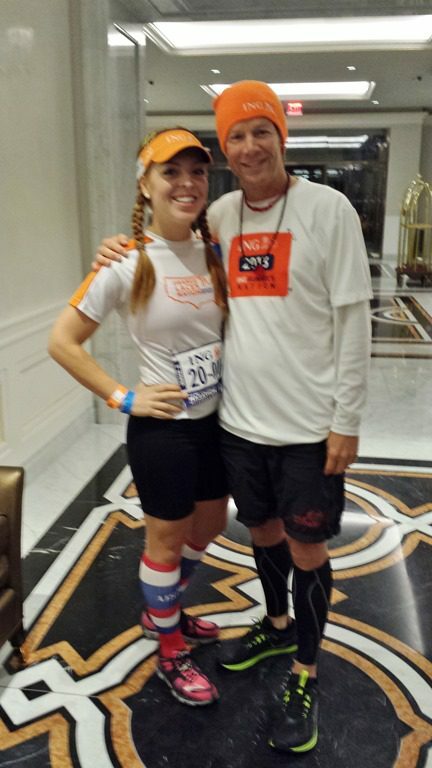 I met reader Mandi at the finish line. She got a new PR in New York!! Then, it was a long walk to the family reunion area. The race gave out ponchos to keep warm, but I didn’t get one because I was in the wrong line or something. I don’t know??! But I was cold and wanted to get inside and warm fast. I eventually saw Ben who’s been with his college friends in NYC. It was a reunion! The New York City Marathon has the best crowds of any race I’ve ever run. The energy is unbeatable! The course has a few big hills over the bridges (the one at mile 15 killed me). 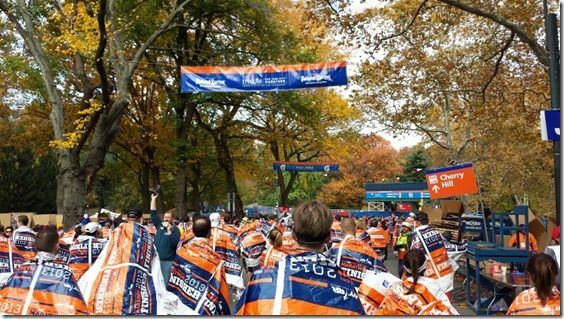 The finish through Central Park is gorgeous with the fall leaves and LOUD from all the supporters! 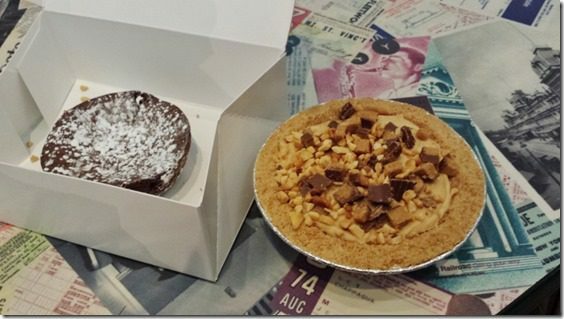 The victory lap – New York Pizza! Question: Thin crust or Deep dish pizza? 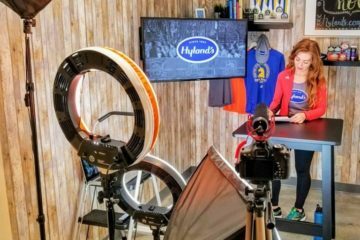 Updated post here >>> Check out my recent New York City Marathon Podcast with all the latest tips and info! 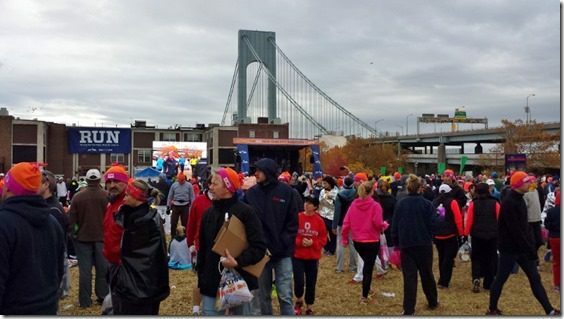 I ran NYC this weekend too — as you said it was AMAZING!!! Such incredible energy! I’m still riding the high!! Congratulations on a great time! Thick or thin crust? Depends on my mood and where I am (what city) but my default is probably thin. Congrats again! 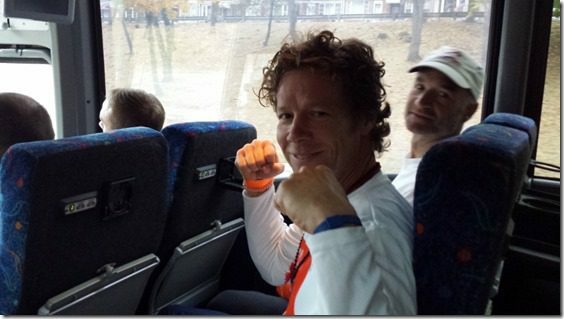 It was so exciting tracking you, SR and a few friends during NYCM. CONGRATS! That’s an awesome time!! 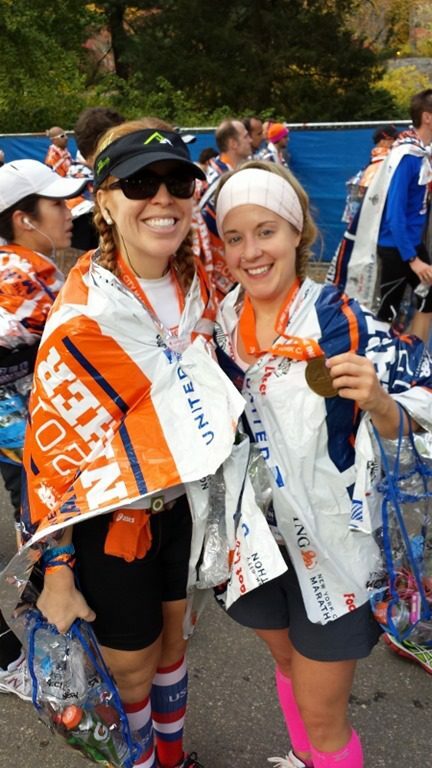 I have only done half-marathons but something keeps pulling me towards a full… I think I am going to enter the lottery for NYC next year… and just start training now! I’m so glad to see you we’re able to run the marathon this year after having it being cancelled last year! (and you getting so many mean comments that you didn’t deserve!) Hip hip hooray for Monica! Congrats! I love that you took a video while running. I hope to be able to run in NYC one day! Congrats on your race, Monica! 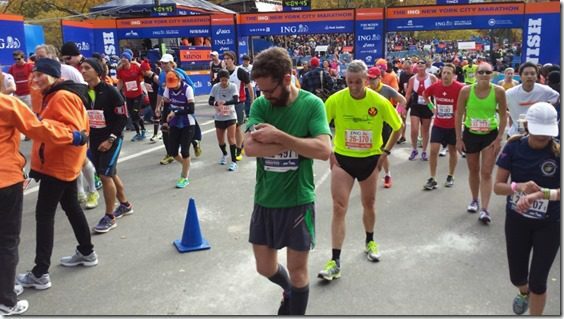 I’ve been reading all sorts of blog recaps of NYCM and it’s making me re-think my claim of having no desire to ever do a marathon. My poor husband thinks I’m crazy as it is. …forget the Queensborough Bridge at mile 15-the never ending hill on Fifth Ave at mile 23 is what really killed me! Btw, I was in wave 2 as well, but on the lower level. Glad you enjoyed the race! 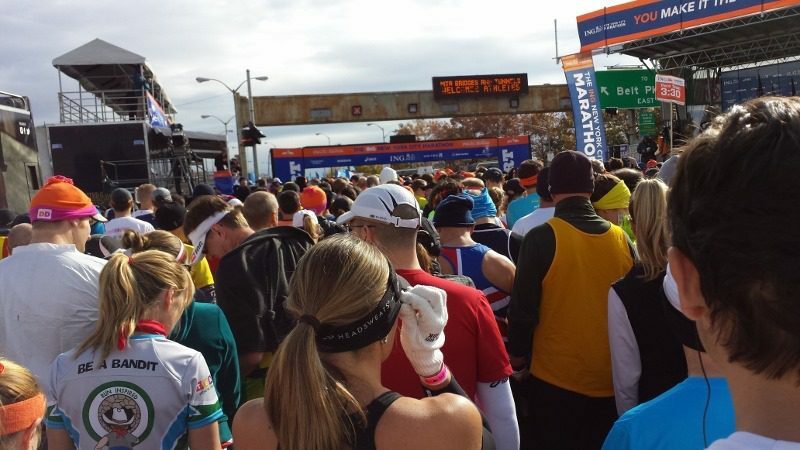 Congrats on running NYCM and with such a fantastic time! This is a bucket list race for me and I can’t wait to have the opportunity one day to run it. What a great experience! 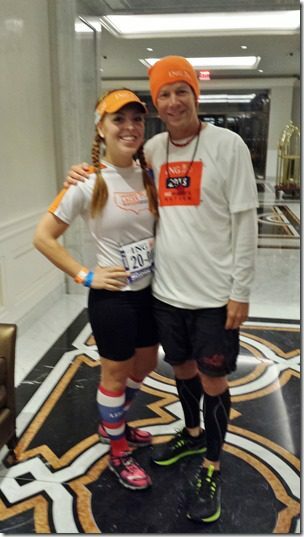 After a marathon – deep dish for the win! Night I’m going out, thin crust… more room for wine that way 😉 Great job with your last marathon of the year! You’re really giving me the marathon running bug. Congratulations! I agree this was the BEST RACE! I had a 16 minute PR and will be paying for it for days. Loved the crowds and the city. 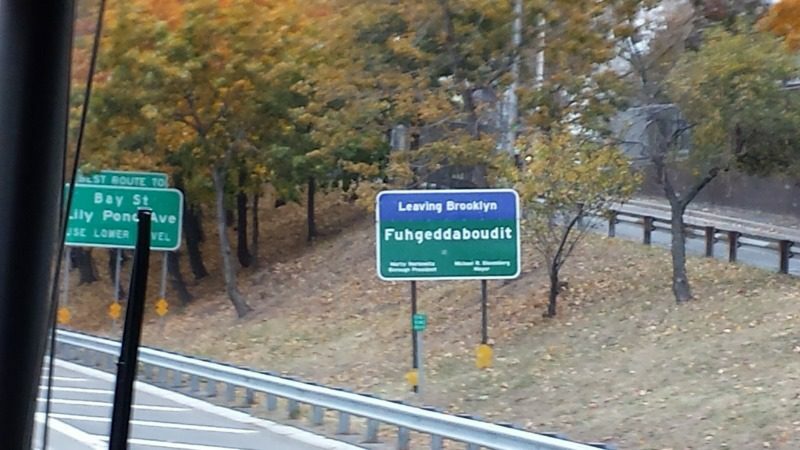 New York does it right. I did get a poncho and they are nice. Fleece on the inside water proof outside. It will come in handy in Seattle. I don’t care if pizza crust is thin, thick, stuffed, or flavored… I want it! So glad your experience was incredible!!! You look happy throughout! That’s what its about! I would love to run NYC!! I can’t even imagine how cool it is. You’ve GOT that BQ . . . there’s no doubt about it. And I’d have to say I don’t discriminate in the name of pizza. Not at all. I absolutely LOVE your recaps! The video gave me chills and a tear in my eye watching all the AMAZING-NESS that is the marathon! I haven’t run a marathon…yet but this just makes me more excited to keep training and working hard! Thank you for being such a positive inspiration to us all!!! I’m from NYC so I love a good Brooklyn-style pizza (big as my face and fold-able). woooo congrats! I’ve never had deep dish pizza… need to get on that ASAP! I love any pizza. The crust just depends on my mood. Today it’s a stuffed crust kinda day! Awesome job!! 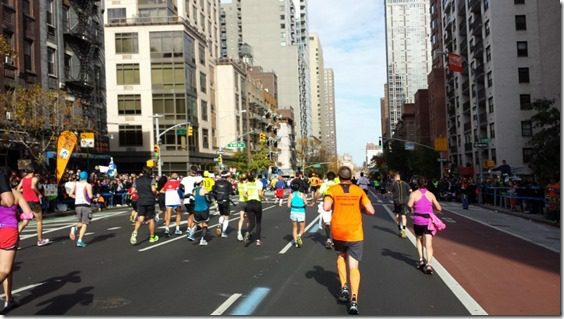 I just love reading about the NYC Marathon! It sounds like a great race to end the year! Congratulations! What an awesome experience. Congrats again! You are so close to Boston! How about we make a deal? Let’s both qualify in 2014 and plan a huge trip for the Boston Marathon in 2015 together! Congrats! I prefer halfs over fulls (I’ve only done one so far), but you may have convinced me to give them another try. Also, thin crust, for sure. Deep dish makes me way too full and I like to have more than one piece, which I can with thin crust. awesome job! 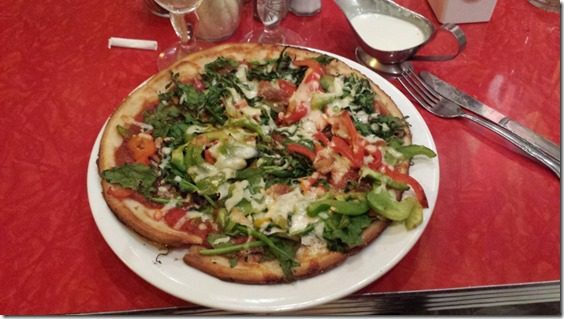 I love thin crust pizza, can’t stand the thick stuff. Well done, what a fantastic time! Looks like the race of a lifetime! Thin crust pizza definitely! 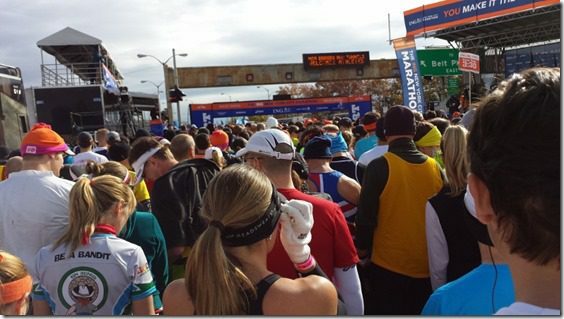 Sounds like such an awesome marathon, wish I could go sometime……dare to dream! Awesome Job! 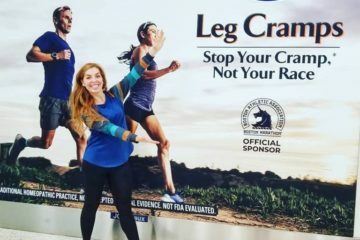 Your post makes me want to get in running shape again, and run the NYC marathon one day! thin crust! and way to go girl!!! ahh so amazing! i watched part of the race coverage on ESPN yesterday and i can’t imagine how awesome it must have been in person! 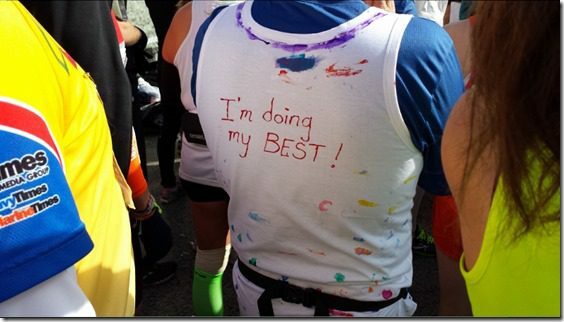 i’m glad you were able to run one of your bucket list marathons! =) congrats on a strong finish. Awesome job!! Way to end the year with a fantastic race 🙂 I cannot even imagine the energy you feel running that, and just having that crowd support. It seems like each corral is a mini race in itself having their own porta johns and what not! Thin crust all the way, I could eat a entire pizza myself if it is thin crust!!! 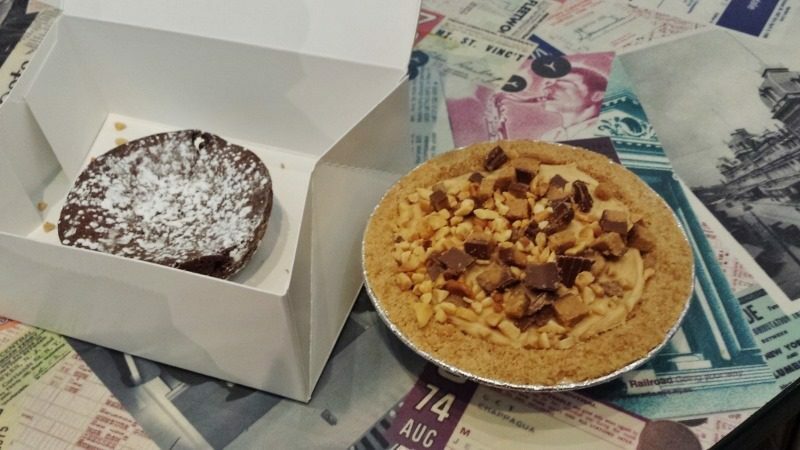 OH, I would love the deep dish but the deep dish doesn’t love me…so its better to do thin IF at all. The race looks like a lot of fun!! Love love love the video! Seriously it made me want to go running right now!! Glad you had great race! When in NYC, eat thin crust. When in Chicago, eat deep dish. Good job! That was nice that Ben was able to get to go with you! I’m not sure if I’ll ever do a full, but if I did I’d love it be by NY. And thin. As long as it’s not crunchy. Your video made me want to go and apply for the lottery right now! Love it! Congrats!! I’m hoping to run NYCM one of these years! Congrats on the marathon what an awesome job! Chicago deep dish pizza. Is there anything else?! Congrats on a great race and a great year of marathons! …and thin crust over thick crust. I’m gonna do this someday 🙂 Sounds like so much fun!!! 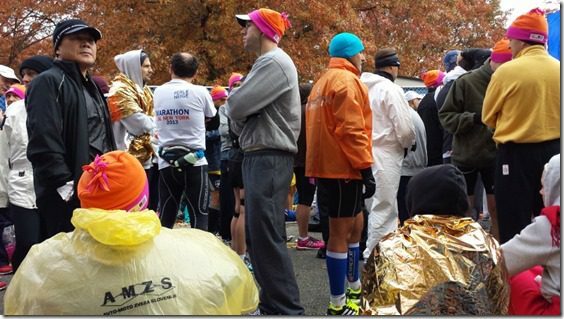 the ponchos were for people who chose the “no baggage” option — so they didn’t check baggage through to the finish line, and instead they get to exit quicker and get a cozy poncho to warm up. i did the no baggage option because the long walk to baggage last time i ran the marathon almost killed me! 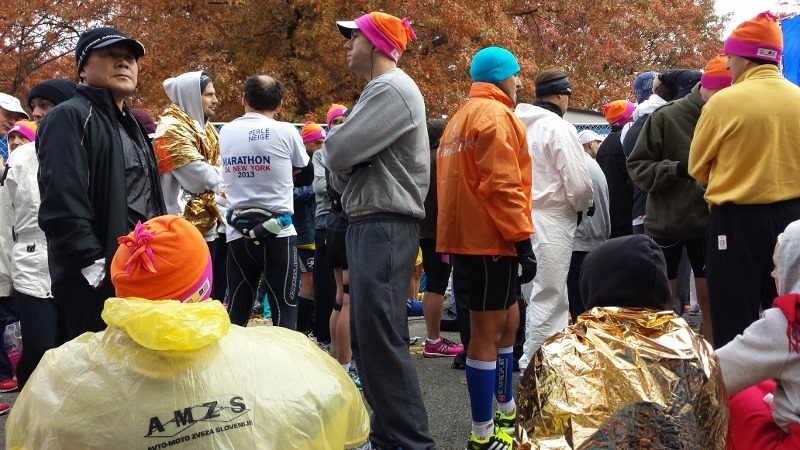 I was so thankful for the poncho this year, since it was so cold and I had to get myself all the way back to Brooklyn post-race without dying. 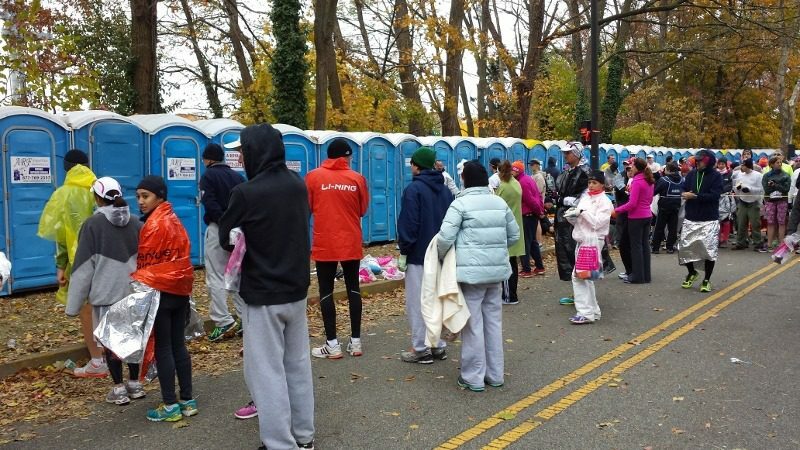 i think the nyc marathon crowds were extra wonderful this year! i didn’t train as well as i should have, but they totally revved me up (especially my friend standing at mile 8 with a bag of chocolate covered pretzels in hand)! It’s the best, I’m so glad you enjoyed it. I was talking to my grandmother about NYCM. I have become obsessed with this race and fingers crossed I get it this year. 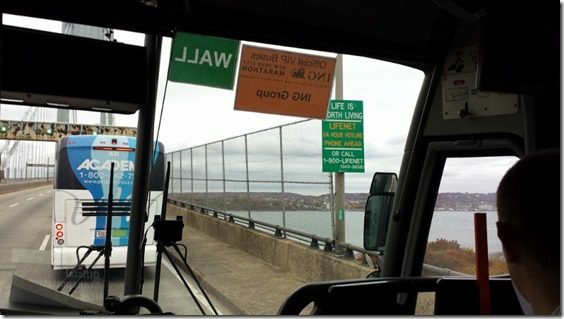 Anyway, she was there the day the Verrazzano bridge opened and told me a story about it. OK, we had a little sentimental moment and I thought I’d share. Great job! Awww! That is really cool – thank you for sharing!! Dunkin’ Donuts beanies? I want one! Congrats!!! I can’t wait to run this race one day – NYCM epitomizes the spirit of the marathon! Awesome job! The mile 15 hill ruined me too, ugh! Great job though it’s a harder course than I expected but the crowds were amazing. It was great to be a part of it this year!